Welcome to the website/blog “The Yiddish Song of the Week” presented by the An-sky Jewish Folklore Research Project (AJFRP). This initiative is part of a larger effort by the AJFRP to revitalize traditional Yiddish folksinging performance and research on the subject. To that end, this website will emphasize field recordings of traditional Yiddish folksingers from around the world contributed by folklorists, ethnomusicologists, musicians, singers and collectors. Each Yiddish song will be presented with Yiddish words and translation, along with commentary from the contributor. Since the website is a blog, we hope that each song contribution will elicit comments from others on the song itself, or on the singing style of the singer. Perhaps others will contribute a variant of the song from their recordings, etc. Lifshe Schaechter Widman was born in Zvinyetchke, Bukovina in 1893. The town is on the Dneister river. Across the river was Galicia. When she was born, Zvinyetchke was part of the Austria-Hungarian Empire. Today the town is in the Ukraine. By an early age she had established her reputation as singer and was often asked by the women, both younger, unmarried and older married women to sing for them. Most of the songs in her repertoire are from the first 14 years of her life. In 1907 she left on her own for America, lived in New York, and returned to Bukovina just in time for the First World War in 1914. She married Benyumin Schaechter in Vienna and settled in Chernovitz, the capital of Bukovina. She had two children Beyle (born in 1920 in Vienna ) and Mordkhe (born in 1927 in Chernovitz). 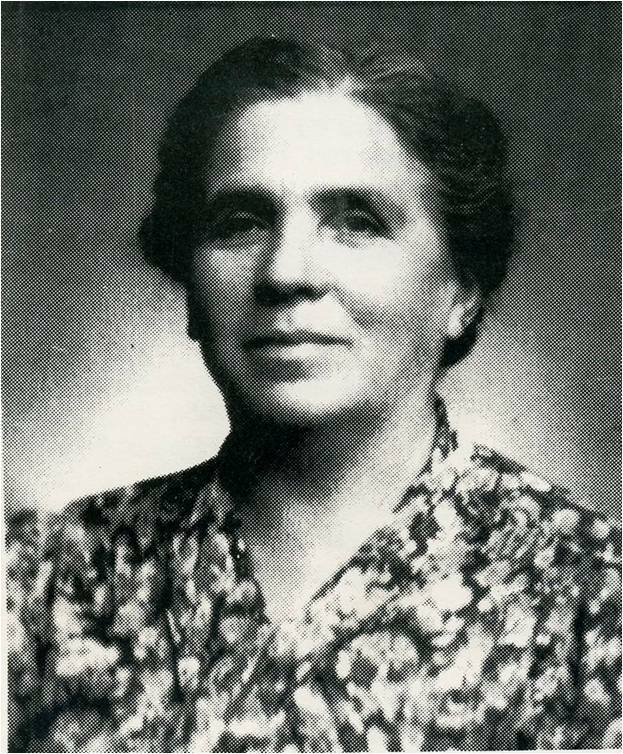 Beyle became a Yiddish poet and songwriter and settled in the Bronx (Beyle Schaechter-Gottesman – my mother). Mordkhe Schaechter became a noted Yiddish linguist in NY. Lifshe survived the war in Chernovitz and arrived in the US in 1951. She died in 1973. In 1954, Leybl Kahn, a folklore collector, recorded Lifshe in her home in the Bronx. Most of the recordings of LSW for this project will be from those sessions which number about 100. In the early 1970s, Professor Barbara Kirshenblatt-Gimblett did extensive interviews and recordings with Lifshe and much of the contextual and biographical information relating to the songs are from those recordings. I produced a cassette of LSW’s songs from the Kahn recordings entitled Az du furst avek on the label Global Village Music in 1986. A booklet with words and translations accompanied the recording. On the one hand, she sings in an older style of East European women’s singing style, yet on the other hand, it can’t be denied that she was a product of her time – 1890s Austria-Hungary/Galicia – a time of sentimental art and literature (sentimental in the good sense). Fintster, glitshik follows a ballad form. The first two verses set the dramatic context of a women who must give up her newborn and then a spoken monologue follows. (In older ballads, it would be a dialogue that follows). I don’t think the song is older than the 1850s or 1860s but there is no way to date folksongs; we can only guess by the number of variants that had been collected. A close version of the song appears in Yidisher folklor edited by I. L. Cahan, 1938, a YIVO publication. The song appears on p. 39, collected in Podbrodz, near Vilna. The fifth and last verse mentions the father who laughs when he finds out her situation. The melody to that version is similar to LSW’s and is published in the back of the book. In Yidishe Folkslider in Rusland, edited by Saul Ginsburg and Peysekh Marek, St. Petersburg 1901 (reprint Israel 1991) there is another, longer version on page 189, collected in the Poltava region. Two more variants are mentioned in the Cahan 1938 work which I cannot obtain yet. S‘iz fintster, glitshik, shpeyt bay der nakht. S‘iz a pakhed af der gas aroystsugeyn. Es dreyt zikh a fraylin shpeyt bay der nakht. Ir harts tsegeyt dekh far geveyn. It‘s dark, slippery, late at night. It‘s a fright to go out on the street. Her heart is breaking from her crying. Zi zeyt az keyner zol zi nit hern. Un zingt a lid gants fun zikh aleyn. Mentshn, ven ir volt zikh fun dem lid dernern. Volt ir gevist vos mit mir iz geshen. She looks to make sure no one is hearing. And sings a song to herself. Then you would find out what has happened to me. Nayn khadoshim hob ikh dikh getrogn. Mit groyse shmertsn hob ikh dikh gehat. Derkh dir bin ikh (a) na-venad. Because of you, I wander around. Az gite mentshn veln dikh gefinen. Rakhmunes veln zey hobn af dir. Ze mayn kind, du zolst dikh erlikh firn. Fil beser vet dir zayn fun mir. They will take pity on you. See my child, that you conduct yourself honestly. You will be much better off than me. Vest onheybn di velt beser tsu farshteyn. Vest veln kenen dayne futer-miter. Farges mayn kind, bist elnt vi a shteyn. Forget my child, you are lonely as a stone. ס‘איז פֿינצטער, גליטשיק, שפּעט בײַ דער נאַכט. ס‘איז אַ פּחד אויף דער גאַס אַרויסצוגיין. עס דרייט זיך אַ פֿרײַלין שפּעט בײַ דער נאַכט. איר האַרץ צעגייט זיך פֿאַר געוויין. און זינגט אַ ליד גאַנץ פֿון זיך אַליין. וואָלט איר געוווּסט, וואָס מיט מיר איז געשען. נײַן חדשים האָבן איך דיך געטראָגן. מיט גרויסע שמערצן האָב איך דיך געהאַט. דורך דיר בין איך נע־ונד. רחמנות וועלן זיי האָבן אויף דיר. פֿיל בעסער וועט דיר זײַן פֿון מיר. וועסן אָנהייבן די וועלט בעסער צו פֿאַרשטיין. This entry was posted on February 24, 2010 at 2:15 pm and is filed under Main Collection with tags Beyle Schaechter Gottesman, Finster glitshik, Itzik Gottesman, Lifshe Schaechter Widman, Yiddish song. You can follow any responses to this entry through the RSS 2.0 feed. You can leave a response, or trackback from your own site. Yasher-koyekh! What a wonderful service you are providing with this new blog! Beautiful blog, heartbreaking song, amazing to hear. A sheynem dank! This is really gorgeous! Thanks so much, Itzik!!! Sh’koyekh, Itsik–how moving to hear your bobe’s voice now as a gift to the world. The home page deserves a “shehekhiyanu.” Questions: who wrote the song’s notes above–you or BKG? Will each page be archived and for how long? Will the archive be searchable? Comment: I wonder how many songs of that period talked to children about what they would understand when they grew up–it’s shades of Oyfn Pripitshek. What a fabulous idea and so beautifully presented. This can and should become an invaluable resource for Yiddish singers and lovers of Yiddish song. Yasher koyekh un mazel tov! Thank you. That was a lovely song and a much-needed break from my work. I agree with your friends the blog is beautifully presented. Yasher koyekh un mazel tov from me too! A painfully beautiful song and an invaluable archive. I can’t wait for the next installment. And now I wish more than ever that my mother weren’t so stubborn about using the Internet! She’d love this. She’d cry… but she’d love it. Thank you to everyone who is making this happen. Fantastic! I’ve just sent it on to a few of my students, and a few of my cousins, and… Am just reading Irene Nemirovsky’s “The Dogs and the Wolves” and the song resonates uncannily with it. dear itzik! what a wonderful homepage, what a brilliant work! thanks a lot. A wonderful song, not to mention your commentary work. Please continue! Wonderful site, with so much carefully presented information. And what a fabulous beginning – with this beautiful rendition of a song rarely heard. Vas ist tzu mir sehr interessant iz dos a lied ver hat geshriben geven a hundert yahr tzurik, red fun a modernishe perspektiva was es iz tzu sein alein in der velt. Thanks everyone. Pete Rushefsky at Center for Traditional Music and Dance is the Blog-Meister and deserves much kudos for the appearance of the blog. We view this project as a longterm one. Even though only Lifshe’s songs may appear the first few weeks, we expect that over the course of the year, many other fieldrecordings of other singers will follow. We will soon post guidelines for submissions. What? A Yiddish music site by a native-speaker AND a trained folklorist? Be still, my heart! a dank dir und khaver Rushevsky. This is wonderful for our Yiddish class. Thank you so much. We are looking for playlets, songs, skits, etc.. to use as material for our class. We read transliterated Yiddish mostly. We are not professionals. Our instructor, a linguistics professor is in Europe and we desperately need material. Tayerer Itzik. Vunderlekh! a sheynem dank. vunderlekh. a dank far ayer bamiungen! a matone far der gantzer velt, befrat yidn. Just discovered this via a link on Rokhl Kafrissen’s blog. It’s wonderful and I’ll and share it….although that could be a full time job! BTW , you mention a Yiddish actor, Turkow. His first name is Zygmunt – a minor typo. Kol Hakavod for posting this songs. I live in Israel now and as a young boy growing up in Svalyava I knew Itzu Moskovits and his children.This was the first time i heard him singing. How can I get some more melodies from him? Thanks. There are indeed more performances by Itzu Moskovits that we hope to post on the blog.